West Hollywood Jail Bail Bonds | Bail, Arrest, Inmate Info. If someone you care for has been arrested and transported to the West Hollywood jail, and your seeking information on finding West Hollywood Jail Bail Bonds, don’t go through this situation alone. We have answers and we can help. A caring, licensed bondsman is always available for a no-cost phone consultation. We can can meet with you directly at the West Hollywood Police Station Jail, your home, or at the location of your preference. For information anytime of the day or night about an arrest that has taken place in West Hollywood, call us toll-free at 877-422-4591. We understand sometimes things get out of hand and arrests can be made. We’re a family of diverse, non-judgmental bondsmen who believe in the right to bail– we are available to help you, your friend, loved one or family members and can work quickly to have them released — in most cases in as little as one hour. Our bail application forms are easy to fill out. We can deliver them to you quickly and can efficiently handle the bail bond by email or fax. Once the contract has been approved, we’ll dispatch one of our highly qualified agents to the jail to post the bond for their fast release. The West Hollywood Station Sheriff Department are kept busy patrolling the City of West Hollywood and the unincorporated Universal City Walk. Approximately 40,000 residents live in both cities, but during the night and on weekends the population can reach 100,000, with a high of up to 500,000 visitors during the famous Halloween and Gay & Lesbian Pride Parades, or to the draw of Universal Theme Park. 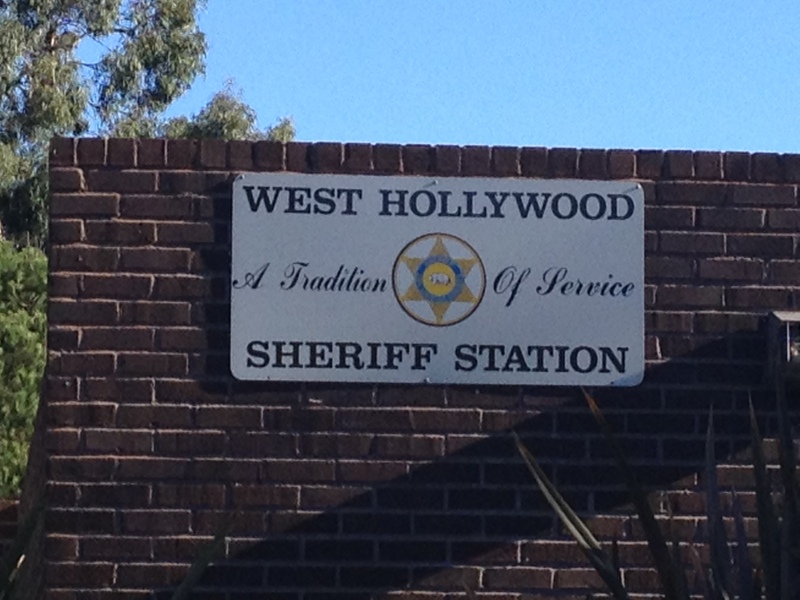 When someone is arrested here, they will be transported to the West Hollywood jail for booking and processing. This generally means that photographs, fingerprints will be taken and a national background check will be conducted. The booking process can take from 2 to 4 hours to complete. Once they are clear, we can post the bond. It’s important to know that if they remain in custody until their arraignment, they will be transferred to a much larger Los Angeles County jail such as Twin Towers Jail for men, or the Lynwood Jail for women. If this happens, the bail time can increase quite dramatically. We can still post bond for them after they have been transferred, but it can take as much as 24 hours. If you want to bail them out, we recommend working on the bond for them as quickly as possible for the fastest release. For answers to all of your bail questions, count on an SCV Bail Bondsman to get the answers you need. You can also visit our bail FAQ’s page for more information. For payment, we accept all major credit and debit cards. We also take cash and your personal and business checks. Best of all, we can offer a flexible payment plan for you to make paying for the bond easier. Just give one of our agents a call and they’ll let you know if you qualify for payments within minutes. Our consultation is free and we are open 24/7, weekends and holidays to speak with you. We offer the utmost in discretion and confidentiality. We understand your situation and can explain the arrest and booking procedures at the West Hollywood jail. If a friend or loved one has just been arrested in West Hollywood or the surrounding areas, please call an expert, caring bail bondsman at SCV Bail Bonds toll-free at 877-422-4591 and speak to a live, licensed bondsman about your situation. We’re here for you. Our Mission Statement: Providing all of our customers with expert, professional 24 hour bail bond service while treating each one with dignity, respect and privacy.